Digital signal and image processing and analysis in Visual C, Visual BASIC and MATLAB. Verilog behavioral synthesis of process control and digital data communication devices executing in programmable gate arrays. Real-time digital signal and image processing for data communication, telecommunications and process control. 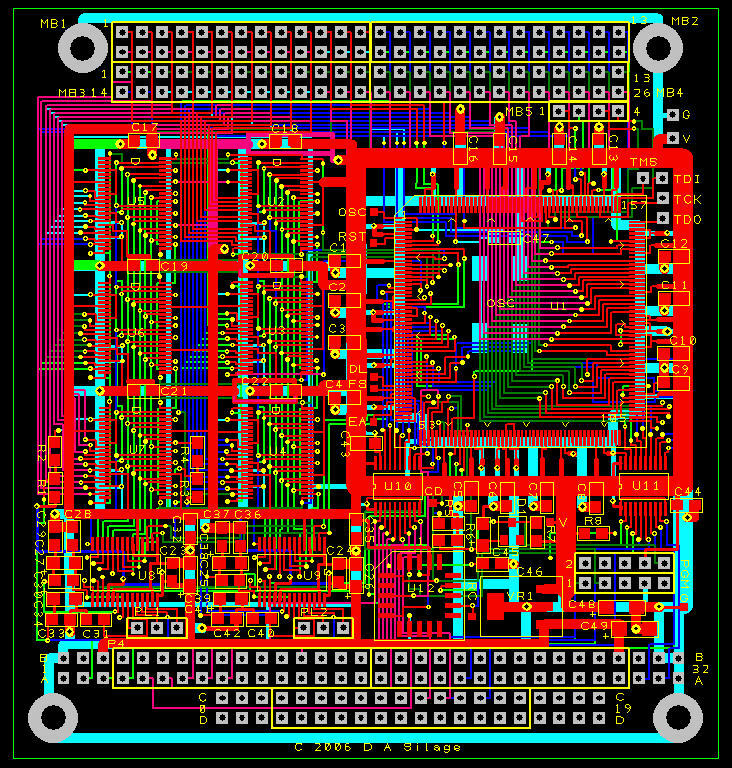 Multilayer printed circuit board CAD layout for prototype and production. 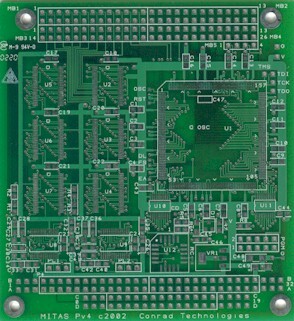 Shown is a six-layer printed circuit board with both a PC/104 and 64-bit custom bus interface for high-speed data acquisition with an FPGA processor.